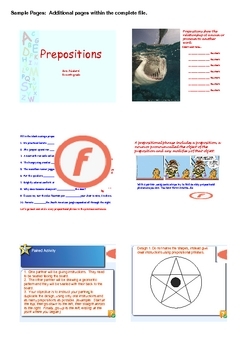 This SMARTboard presentation features four lessons to use for the review and exploration of prepositions in language arts. The lessons include a paired activity, prepositional poetry writing, and a comic review. Students will enjoy these creative lessons as they learn more about prepositions.